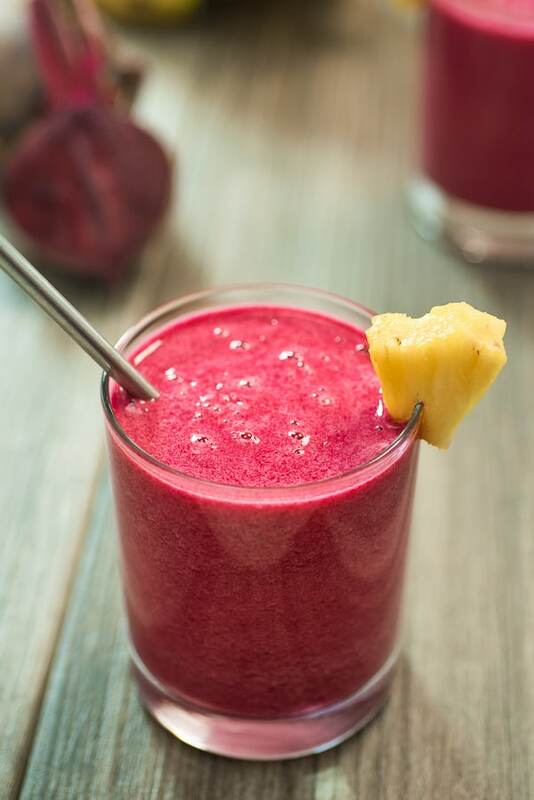 Red Beet Smoothie – A delicious and healthy smoothie made with bananas, beets, pineapple, and yogurt. Perfect for breakfast, or as an afternoon treat. How about a Beet Smoothie, people? I know it might sound strange, but it is a true delight. This smoothie has wonderful taste, gorgeous color, and a very impressive list of health benefits. You definitely don’t want to skip this one, friend. Being a Ukrainian, I am a huge beet fan. 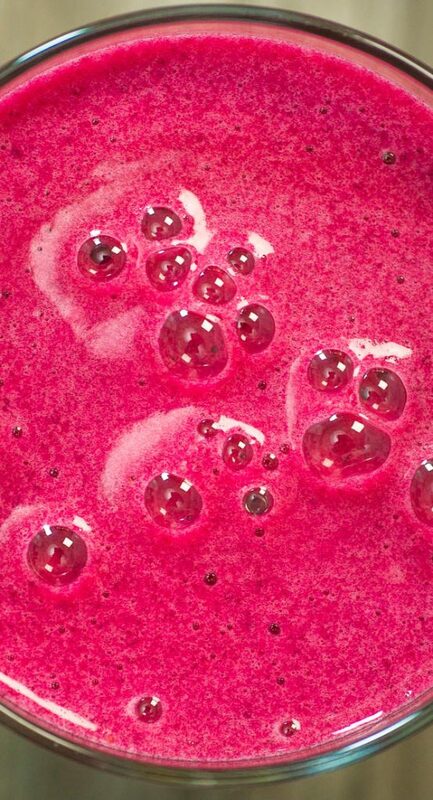 We use this super-vegetable very often in soups and salads, but adding beetroot to a smoothie is something fairly new to me. I started making beet smoothies about a year ago, and I love them so much! 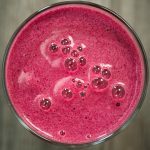 I’ve tried many beet smoothie combinations, and the recipe I am sharing with you today is my favorite. Let’s just take a moment and discuss the main ingredients. I just want to mention that it is important to get your hands on some good beets for this smoothie. Since you are going to consume them raw, ideally you’ll want to use early-crop beets, which are usually sold in bunches with the tops attached. Small, young beets (about 2-3 inches in diameter) are pleasingly tender and sweet. However, regular medium-sized beets will also work. Just make sure they don’t taste bitter before you add them to your smoothie. 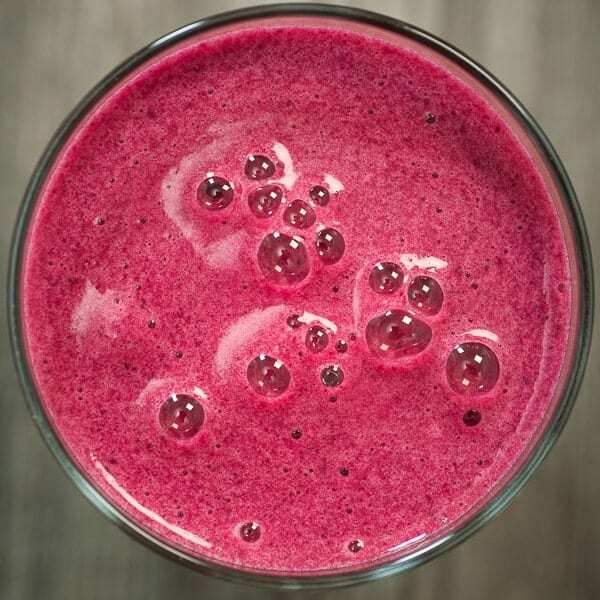 Besides beets, this smoothie is made with bananas (full of fiber and antioxidants), pineapples (high amounts of vitamin C and manganese), and plain yogurt (probiotics, calcium, phosphorus, vitamin D). 1.Place all of the ingredients into a powerful blender* and process until very smooth. 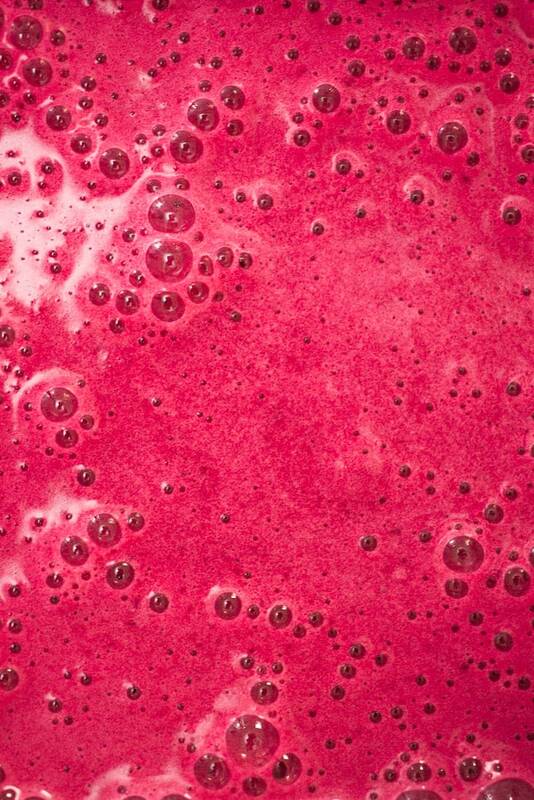 *Low-quality blenders may have difficulty blending beets until smooth. Can I use fresh pineapple instead? Yes. Just add 1/2 cup of ice with the fresh pineapple. What kind of yogurt should I use? Regular or Greek plain yogurt will work in this recipe. Dairy-free alternative? Sure. You may choose to substitute regular yogurt for dairy-free (soy, coconut) yogurt or milk. Place all of the ingredients into a powerful blender* and process until very smooth. Can you use pickled beets to make this? Nope. Just fresh raw beets, Beth. Hi Dimple! Yes, just peeled raw beets. They are very sweet and healthy. Cheers! I love this smoothie. I hope I will be able to stick to this new idea. I want to change everything about me. I want to feel wellness again. I am tired of the regular staple food . Am going to make the best use of this recipe of smoothie from Tania. Thanks so much. Thank you, Julia! Best of luck on your new food journey! Beets are my favorite veggies, I take it daily in my breakfast juice. So far I did´nt find smoothies so great, but this recipe convinced me fully. Thank you for trying it. Your blog is great! I’ve never tried a beet smoothie. I’m going to try your recipe this week. I’m sure it’s tasty. Thanks for sharing it. Hope you’ll enjoy it, Mary! Thanks! Love that vibrant color! I agree with you about the health benefits of beets 🙂 and such a fun and easy way to add in more veggies! Thanks, Mahy! This is truly a great way to adds beets to the diet! 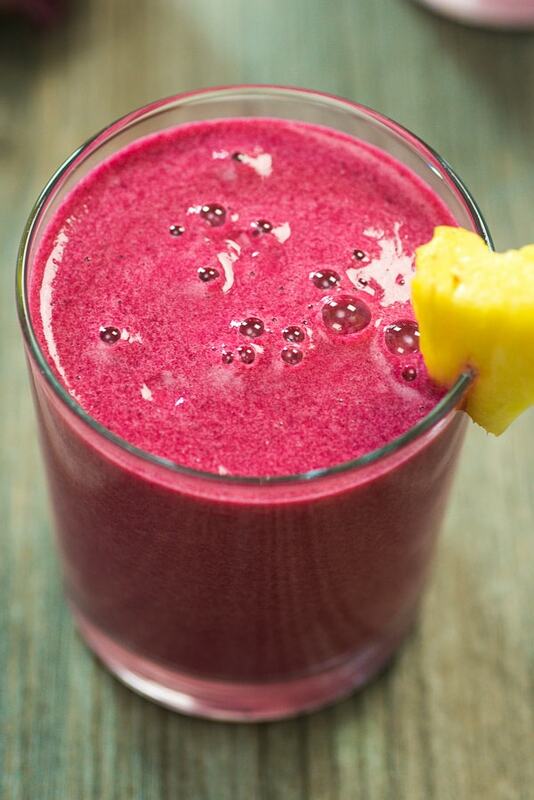 I recently read about health benefits of beets and found this smoothie on Interest! I didn’t expect I will enjoy it so much. It was fantastic! I will be making it often. Beets are, indeed, very healthy. Especially when consumed raw. I am glad you enjoyed the smoothie, Suzanna! I really loved it! Thanks! wow what a cool idea …..Honestly i love this amazing and wonderful beet smoothie and it’s also good for health !! According to this recipe, now I will make beet smoothie.